The Logitech Harmony Elite is the undisputed champ of universal remotes, but how does it compare to the much less expensive (but similar) Harmony Companion? Below we pit the Logitech Harmony Elite vs. Companion to see if the huge price difference really means a significantly better product. 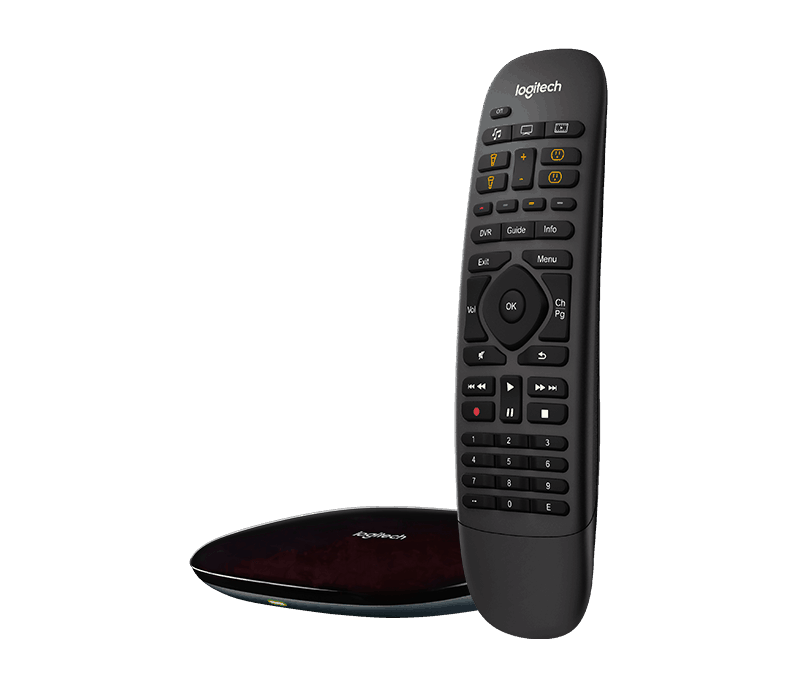 The primary difference between the Logitech Harmony Elite and the Companion is in the remote itself. The Elite is larger and has a touch screen that can be customized extensively and the Companion has more physical buttons (no touch screen). Both remote systems make use of the Harmony Hub for controlling smart home devices as well as Infrared (“IR”) blasters for reaching devices behind cabinet doors. Here are some of the main differences in the layout of each remote. 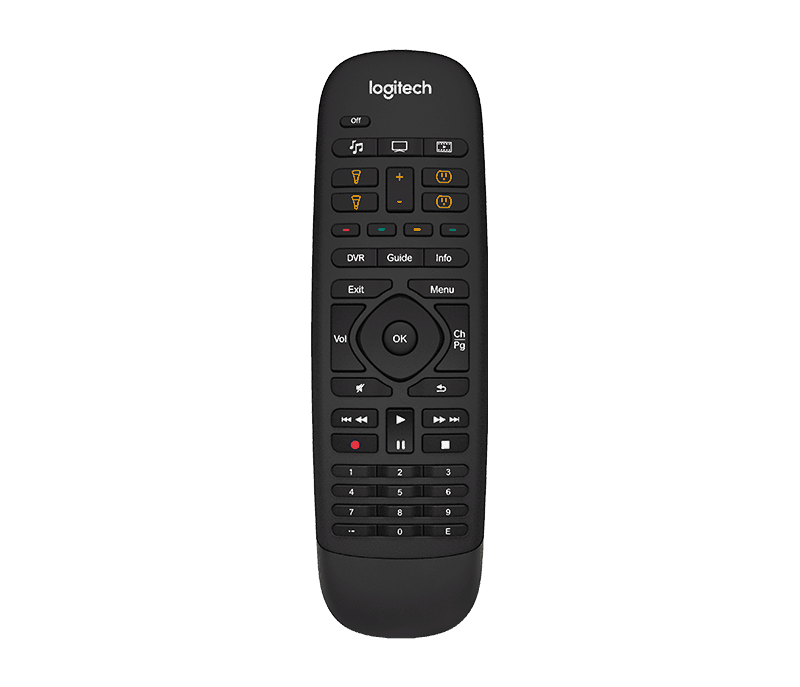 The Logitech Harmony Elite is at the top of the food chain when it comes to universal remotes. 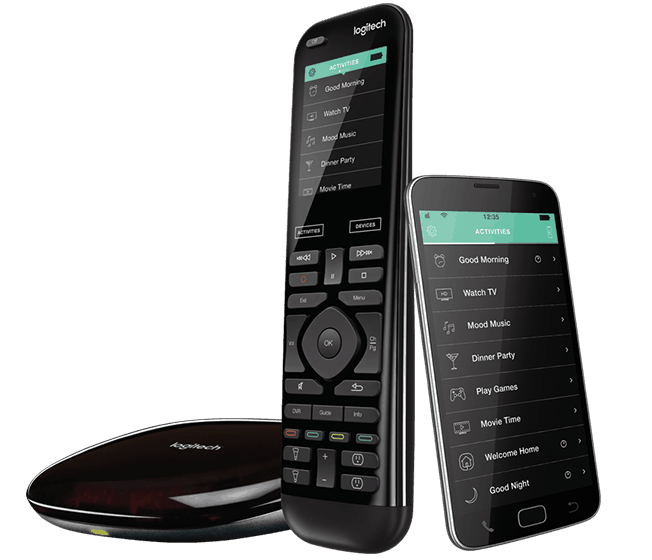 It is the latest of the Logitech flagship remotes in their lineup, being an upgrade from the equally awesome Ultimate Home remote. You can see a detailed comparison of those two here. 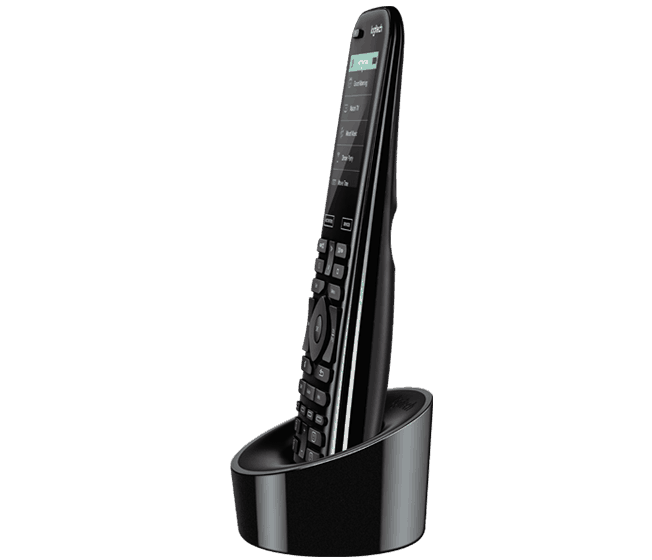 The Elite remote uses Bluetooth technology to communicate with the hub. The hub then uses IR, Bluetooth, or WiFi to send signals to the components. 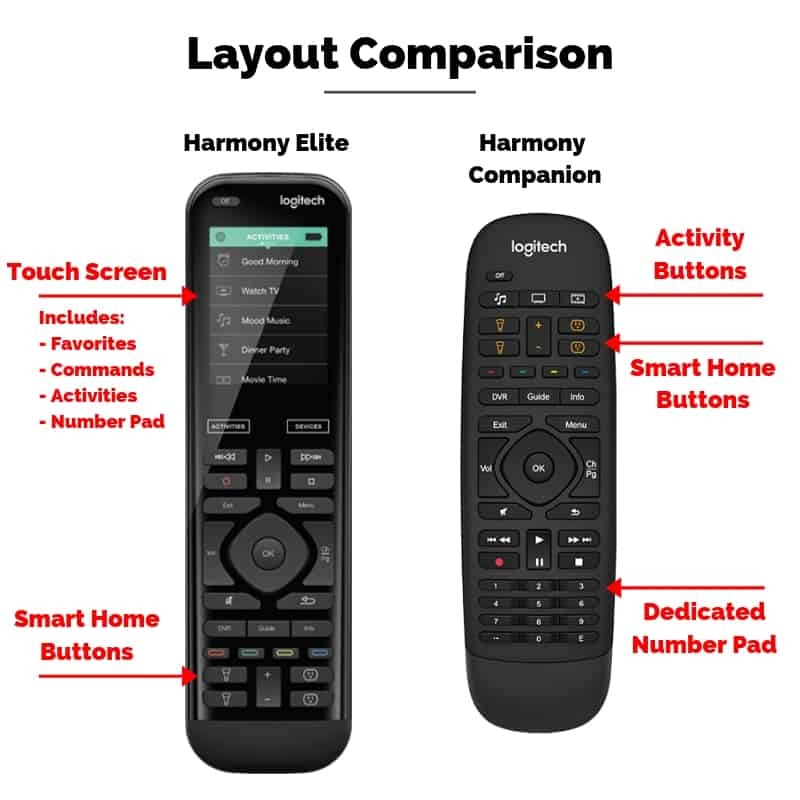 The Harmony Hub is basically the control center for the Elite and Companion remotes (as well as others in the Logitech lineup. It is identical whether you get the Elite or the Companion. The Hub included with the Elite comes with two IR blasters to control your IR components. In case there was any doubt that the Hub that comes with each is the same, just click on the “Works With Alexa” section for each device on the Logitech website. They are the exact same page just with the names Elite and Companion swapped out! The Hub is what sends signals to each of the components. Infrared (“IR”) blasters are cables that plug into the hub using a mini-USB port. The other end contains an IR emitter that can send an IR signal to your components the same way a regular remote does. You just set up the emitters inside the cabinet where your devices are and it will get the IR signal to them. The Harmony Hub contains ports for two IR blasters, but some users have had success using a USB splitter to add more IR blaster ports. This doesn’t seem to be in any of the official Logitech literature, so I can’t guarantee it will work. If you need an extra IR blaster or a replacement you can find them easily online. Here they are on Amazon. There seems to be conflicting information out there about this (and other Logitech devices using radio frequency (“RF”) to communicate with the hub or even components that use RF. Neither the Elite nor the Companion use RF and you cannot use these remotes to control any components with RF. It seems that the days of RF universal remotes are ending and many of the top devices (including all in the Logitech lineup) are using a combination of Bluetooth and WiFi. We should also note that even the Harmony devices that had RF in the past were not designed to directly control RF devices. They used a proprietary RF signal to communicate with past versions of the hub. You can read all about that in this entry on the Logitech blog from 2010. 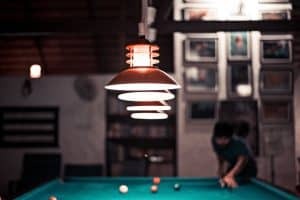 If you have a device like the Amazon Echo or the Echo Dot (which both use Amazon Alexa to control things), then you probably already use them to control most or all of your smart home devices. But the real magic happens when you start building the smart home devices into your Harmony Hub “Activities.” You can set up the Hub to do a series of commands including the smart home devices and your home theater components and then use Alexa to trigger that. For example, you can say Alexa, it’s movie time to trigger an action that will lower the shades, dim the lights, turn on your home theater components, and switch everything to the proper settings to watch a movie. Technology is pretty cool, right? If you do plan on adding a Alexa device to your home theater setup, go with the Echo Dot. It is much smaller and has the exact same functionality. The only benefit of the standard Echo is the bigger speaker, but you can just plug the Echo Dot into your home theater speakers if you need bigger sound. The Echo Dot is a tremendous value considering the price. You can CLICK HERE to check out the current price on Amazon. 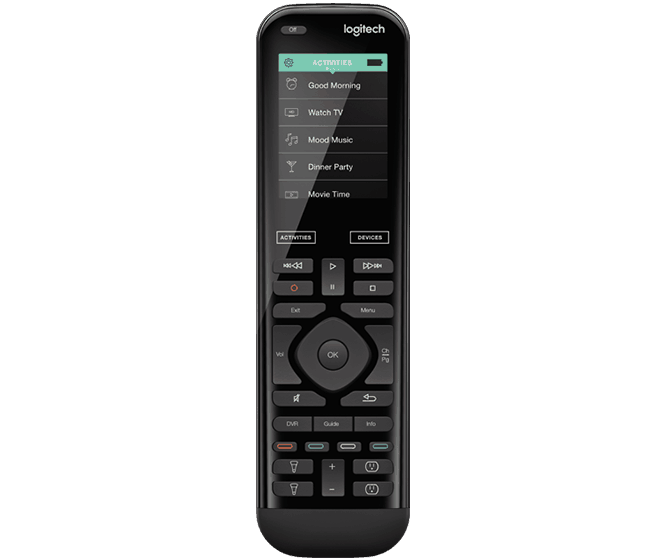 Logitech has been in the remote game for a long time and has had many versions of their remotes. Throughout this time, they have really focused on improving the ergonomics in every new version, and it really shows in the Elite. The most commonly used buttons sit right where your thumb would be when holding the device. As you get further from that center spot, Logitech has done a good job of identifying the second most used buttons and so forth. I think the measure of good ergonomics in a remote is how often you have to adjust your grip on it or use a second hand to reach any of the buttons. There are really few situations where this happens with the Elite. One thing that might turn off some of you is that the Elite does not have a dedicated number pad. The number pad is on the LCD screen. To get to it you need to swipe right or left. There are 4 screens on the LCD screen, Numbers, Favorites, Commands, and Activities. You can designate which screen appears first when you start an Activity, by default it is the Favorites screen. So if you find yourself channel surfing by typing in specific numbers, you probably want to program the remote to default to the number pad (or pick a different remote). The setup is basically the same for both remotes and it is one of the best features of Logitech remotes. You can have it set up and in use within a few minutes (depending on the complexity of your home theater setup). Setup requires an Android or iOS device, or a computer. Using the Harmony app (smartphone or web app) you set up an account and then go through the setup wizard for each component you want to control. You can then use guided sequences to set up activities such as “Watch TV” which lets you run a sequence of events on various devices to get everything set for that activity. This feature has been on the Logitech remotes for years and it is by far the most useful feature. Having the Harmony Hub means that you can make good use of the Logitech Harmony App as well as the remote. The app is basically a smartphone version of the remote. Just about anything you can do on the remote is available on the app. Because the Hub is connected to your WiFi network, you can even use the app to trigger devices when you aren’t home. This can be useful to help out family members who have difficulty with technology or maybe to let your dog watch some TV when you aren’t home. It could be a huge help if you tend to leave the house and forget to turn things off too. Most of the time you are using this remote, you’ll be sitting in the same spot. So put the charging base near the spot where you sit and you’ll never have to worry. The Elite has a very good battery. I have been able to use it for many days without putting it back into the cradle. Speaking of the cradle, the design is excellent. It stands upright so it is easy to grab quickly and doesn’t take up a lot of space on the table next to your couch. It also just looks good and sleek which should fit in with almost any home theater decor. Logitech did a good job here of improving on the lay flat design of previous charging cradles. The Harmony Elite uses one rechargeable lithium ion battery. It is also replaceable, so as it wears out and starts holding less of a charge, you can get a new battery. You can find Logitech’s instructions for battery replacement here. If you’re read this far then it’s no secret that this is my favorite universal remote. It basically has everything you need in a remote. The only downside is the price, but you do get what you pay for. Id you’re looking for the best, then this is it. The Harmony Elite lets you do everything you need right from the remote and the touch screen offers tremendous customization. If you want your remote to be the control center of your home theater and smart home devices, then this is probably the one for you. 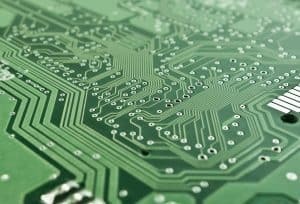 If you are more likely to use your smartphone app or a device like the Amazon Echo to control your home theater devices, then keep reading because you may want to save a few hundred dollars and go with the Companion. The Logitech Harmony Companion is very similar in functionality to the Elite but it comes with a much more simple remote and at a much lower price. The Companion also comes with the Harmony Hub (which seems to be the control center for all the higher end Logitech remotes at this point) so connectivity is still very full featured. 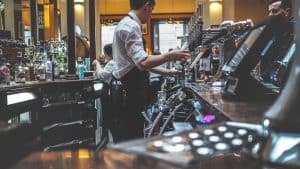 This is a great option if you want to simplify things and save some money. You can see the current price on Amazon by CLICKING HERE. There’s not much difference between this and the Elite as far as how they connect to devices and how many devices they connect to. Like the Elite, the Companion uses the Harmony Hub to connect to devices, so the list of compatible devices is exactly the same. The remotes themselves are different though so the Elite, with its customizable touch screen, may offer a little more in the way of controls for any given component. But ultimately, the connectivity of both remotes is the same. Like the Elite, the companion does not use RF control in any way. If you need RF to control your devices, then Logitech might not be the solution for you. Keep reading and you’ll see that the real differences are in the user experience rather than the core functionality. Since the Companion uses the Hub, it has access to the same smart home devices that he Elite does. However, this is one area where the lack of a touch screen really hurts the Companion. You can program activities, but you are limited as to how many you can use directly from the remote by the number of physical buttons. This may or many not be an issue for you if you use a device like an Echo to control the activities. This is where you will see the biggest differences between the remotes. Right off the bat, it is obvious that the Companion lacks a touch screen. However, what this takes away in functionality, it adds in ergonomics. The simplicity of the remote makes it incredibly simple and easy to use. You can reach just about anything on this remote with your thumb without having to adjust your grip on it. On the usability front, another thing that suffers due to the lack of a touch screen is problem solving. Anyone who has used a universal remote has run into the issue where one component misses the signal and doesn’t get turned on. With the touch screen on the Elite, you can run through a help sequence to identify the issue and fix it. With the Companion that is much more difficult. So while the Companion is more simple to use, it can be difficult for the less tech savvy to fix these common problems when they arise. The Logitech Harmony App is the exact same whether you have the Elite or the Companion. I will add though, that the app might get a little more use if you have the Companion as this remote doesn’t have the customizable touch screen of the Elite. So if you want to use a lot of Actions then you may need to use your smartphone more often. The Harmony Companion does not contain a rechargeable battery or a charging cradle. Because it does not have a touch screen, the power consumption is much lower than the Elite, so instead of a larger battery it use one, three volt coin cell lithium battery, type CR2032. According to Logitech, under normal remote usage, the battery is expected to last one year. The batter is easy to replace by sliding down the cover on the bottom of the remote. Since it is replaceable and the Companion uses much less power, the lack of a rechargeable batter is no big deal. Although, I do like having the cradle to keep my remote in and this one doesn’t include a cradle. I have to give the win to the Elite here as far a looks go. The cradle is way better than having a loose remote on the coffee table. It’s hard to say anything bad about this remote other than the fact that it’s not as good as the Elite. For what it is supposed to do, it does a really good job. It can be frustrating though to have access to all the smart home devices and the ability to set up complex actions but be limited to how many you can control directly with the remote. But if you prefer to use something like Alexa for smart home things and just want a simple remote for your home theater stuff, then this is pretty good. The Harmony Companion is perfect for you if you tend to rely more on other ways to control your home theater setup, such as your smartphone and devices such as the Amazon Echo. It has all the same functionality as the Harmony Elite but with a simplified remote control. So if a touch screen and extensive customization of the remote itself isn’t a necessity for you, then you can save a couple hundred dollars and go for the Companion.